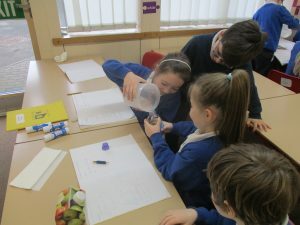 Today in Bluebells we have been estimating and measuring volume and capacity. 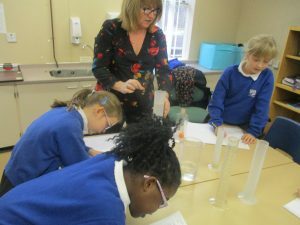 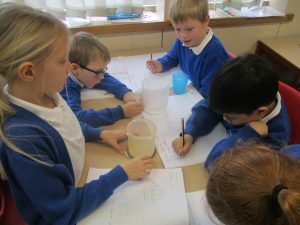 The children worked in small groups to estimate how much liquid was in different containers and then measured it to check how close they were. 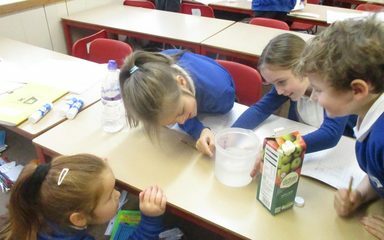 The Bluebells were very careful when measuring to make sure they were accurate and learnt a lot through the practical exercise. 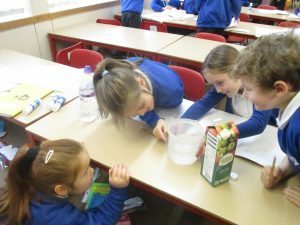 Article 28: You have the right to a good quality education.